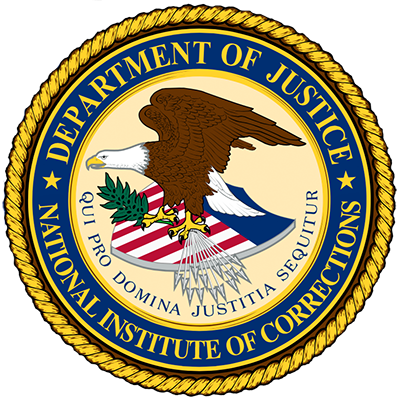 The National Institute of Corrections is seeking applications for funding under the Fiscal Year 2019 to deliver the Collaborative Case Work with Women model (CCW-W). CCW-W is an intensive, individualized case work process for justice-involved women with multiple and complex needs. CCW-W will be delivered in partnership with the “to be determined” host agency. The goal of this project is to provide training and support to host site participants to implement, sustain, and evaluate the Collaborate Case Work with Women process with fidelity. In addition to the strategy and content of the program design, the successful applicant must complete the following deliverables during the project period. The narrative should reflect how the applicant will accomplish these activities. 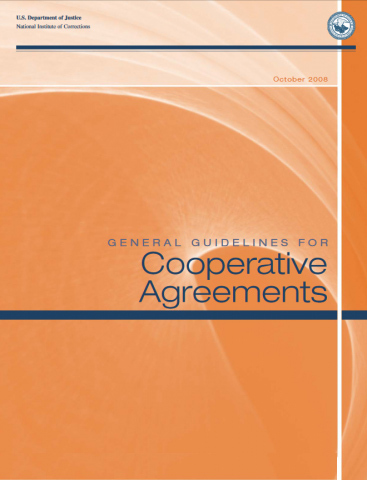 Deliverable 1: Participate in an initial virtual meeting with the NIC program manager to discuss the cooperative agreement, scope of work, and all related aspects of the cooperative agreement within 30 days of award. Deliverable 2: One complete delivery of all of the phases of CCW-W as prescribed in the solicitation. Deliverable 5: Facilitate a closeout meeting with the NIC program manager to discuss delivery strategies, format, potential next steps and overall operation of the cooperative agreement. This meeting may be in person or virtual. Deadline. Do to the lapse in Federal Government funding, NIC is extending the deadline for Cooperative Agreement submission. All applications are due to be submitted and in receipt of a successful validation message in Grants.gov by 11:59 p.m. eastern time on March 14, 2019. Late applications will not be considered. Question 1: Can you allow me to get a late start? Answer: The application due date is now March 1, 2019 11:59 pm EST. The date was extended as a result of the 35 day partial government shutdown. Question 2: Can I get any guidance about the local regional needs? Answer: This solicitation covers the delivery to a jurisdiction that will implement the CCW-W model throughout their agency. Full delivery of the model will include agency leadership and staff who have oversight and/or work directly with the women assessed as having higher levels of risk and multiple needs. The site that hosts delivery of the model could be a Department of Corrections agency with responsibility and oversight of single or multiple adult women’s facilities, who may also have oversight of community corrections organizations. The hosting site, as of this writing, has not yet been selected. With regard to regional needs, it will vary by jurisdiction. Some jurisdictions have trained and supervised their staff in many of the areas that are foundational to good gender-responsive practice; to some it will be newer information. Question 3: The maximum award indicates $40,000 but the number of participants could be in the hundreds. Answer: The maximum amount of the award is $40,000. That covers the elements noted in the solicitation for one delivery of the full CWW-W model. The Training for Staff Trainers is intended to build agency capacity to continue to train and provide oversight of the program over time. That will increase the opportunities for an agency to continue to use the model and increase both the numbers of staff delivering the model as well as increase the number of women who can participate in the process. Question 4: Are these divided by region, state, county or DOJ divisions? Answer: See 2 above. The hosting site could represent a state department of corrections, but could also include staff from community corrections or other external stakeholders that would be responsible for implementation and oversight of the CCW-W model for a corrections agency. Question 5: If we have time to apply for the grant, is the March 22nd start date flexible? Ideally, we were hoping to launch our program in July. Answer: The closing date for applications was extended to March 14, 2019 and is firm. Question 6: If we opt out of applying for the grant, but still want to implement the model into our program, is their training available to get certified through NIC in collaborative case work with women? If so, this is something me and my team would be very interested in. As I mentioned before, what NIC has developed is exactly the approach we want to take while working with this population. Answer: The solicitation is for the delivery of one full cycle of Collaborative Casework with Women (CCW-W) to an eligible correctional site to include prison and community corrections. The summary of the program and the skills required can be found in the link in the solicitation. This solicitation is not a grant award. Corrections Agencies interested in implementing CCW-W can apply to host a training at their agency. At this time, NIC does not have a process for certifying training in the CCW-W. Criminal justice professionals interested in acquiring the requisite skills and knowledge to deliver the model can apply to attend an NIC sponsored training. Please note effective July 1, 2013 the Central Contractor Registration (CCR) was merged to the System for Award Management (SAM). The SAM registry and Frequently Asked Questions can be reached at https://www.sam.gov/SAM/. Please note that the registration process can take up to 1-3 weeks, so please plan accordingly.